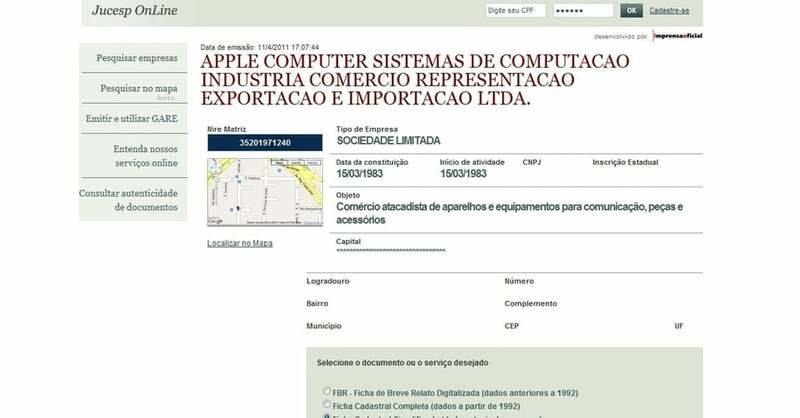 A Portuguese site reports that Apple has decided its plan to start manufacturing their products in Brazil. A new record made by Apple in the Commercial de São Paulo (Jucesp) indicates that the company will begin assembling products in Brazil. The new company name listed as Computer Systems Apple Computer, Industry, Trade Representative, Export-Import LTD. Information is available on the Jucesp. Approximatively Three weeks ago, Foxconn was rumored to build another assembly line for Applethat would be located in Jundiai- São Paulo Brazil.